Bill Hammack goes by the moniker engineerguy on YouTube, and he's been making entertaining engineering videos for five years. 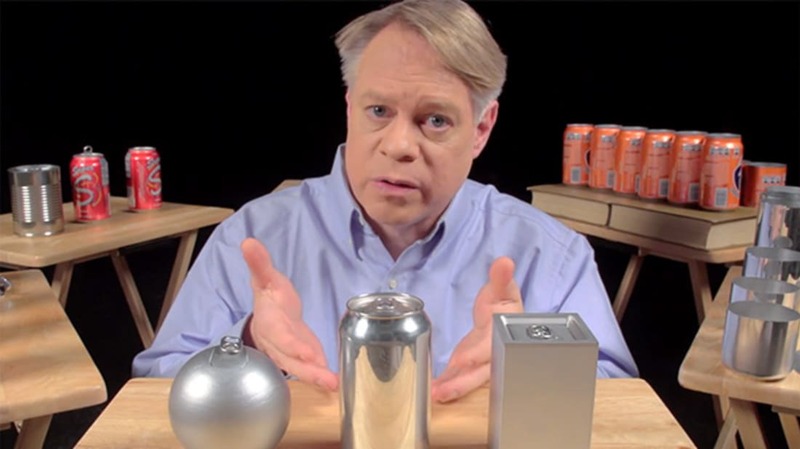 In his most recent effort, he spends a little over 10 minutes explaining the engineering of aluminum beverage cans. And it's fascinating. Hammack manages to take a seemingly pedestrian object and explain why the engineering behind it is so vital—how it's made, why it's made that way (for instance, why there's a dome on the bottom), and what advantages the design has over other options. There's even a brief history lesson showing aluminum cans of yore, including vintage pull-tab cans. Most impressive fact: "The aluminum can industry produces over 100,000,000,000 (100 billion) cans per year." Wow.